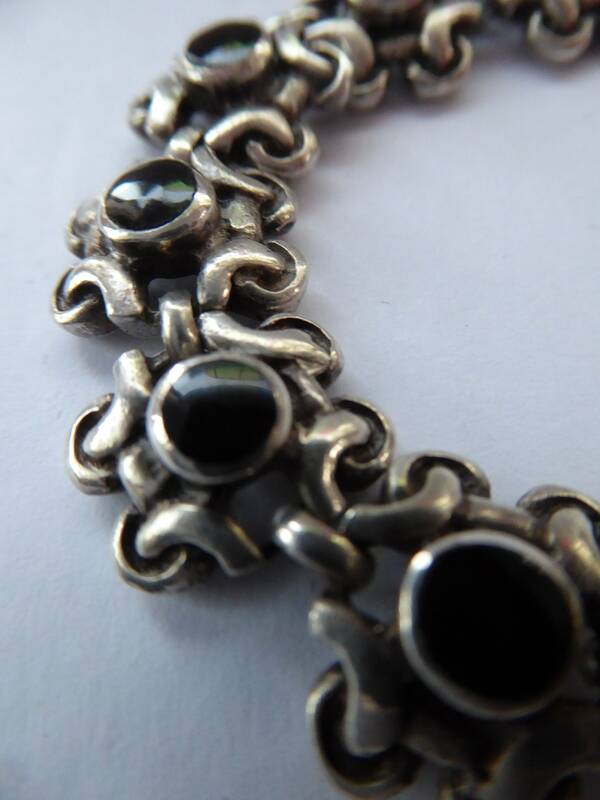 This is a pretty little vintage bracelet - it is formed by conjoined links of abstract foliate shapes - each with a little black enamel centre. 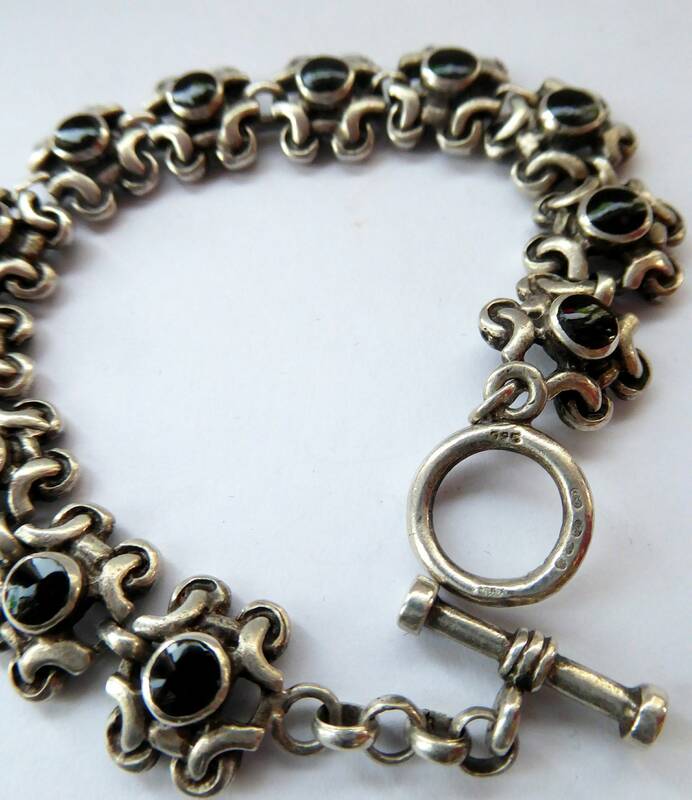 The bracelet is delicate in the making - but also is quite chunky with a lot of silver and a heavy weight to it. 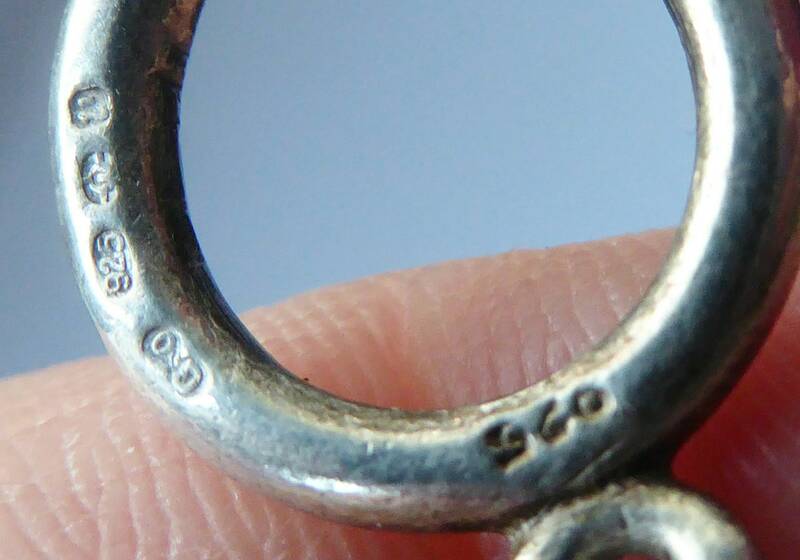 It is fully marked with maker's details on the ring. 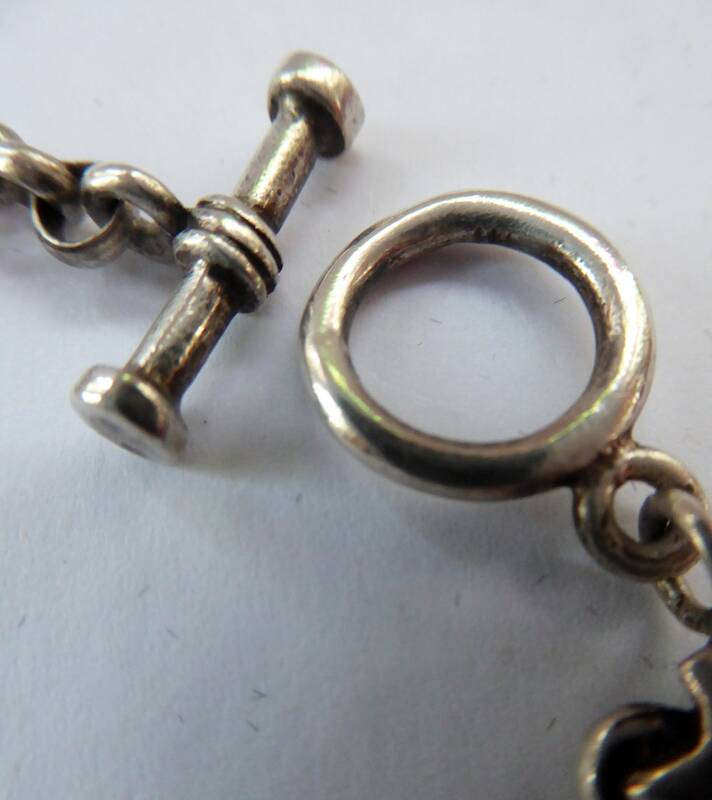 The bracelet is very easy to put on and take off the closure is formed by a bar slotting through a large silver ring. 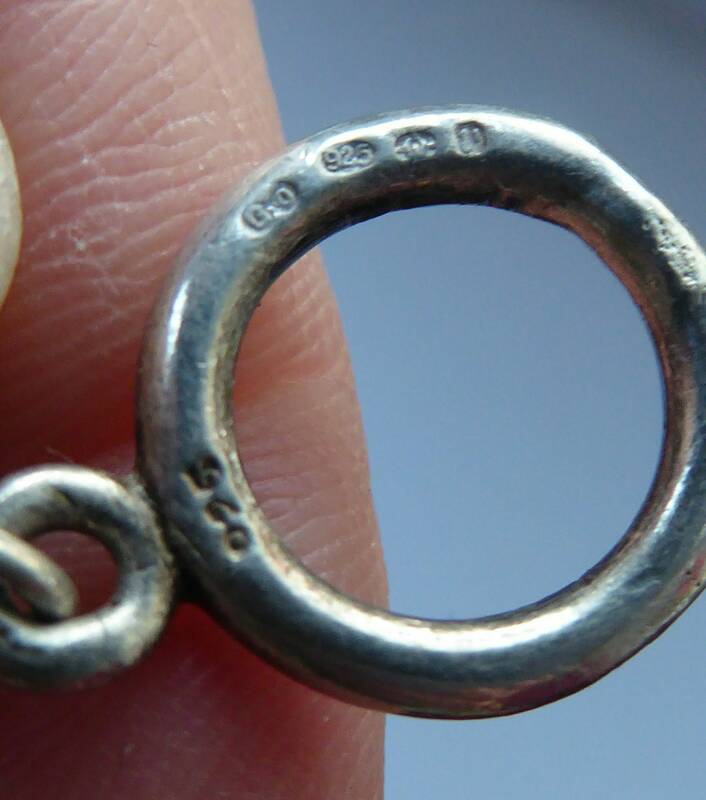 The bracelet seems to have two silver marks on it: one stamped 960 and a little further away 925 and some other marks and letters - these are not British marks or hallmarks. I have tried my best to photograph these in close up - but they are quite small and I have some difficulty in trying to decipher them. 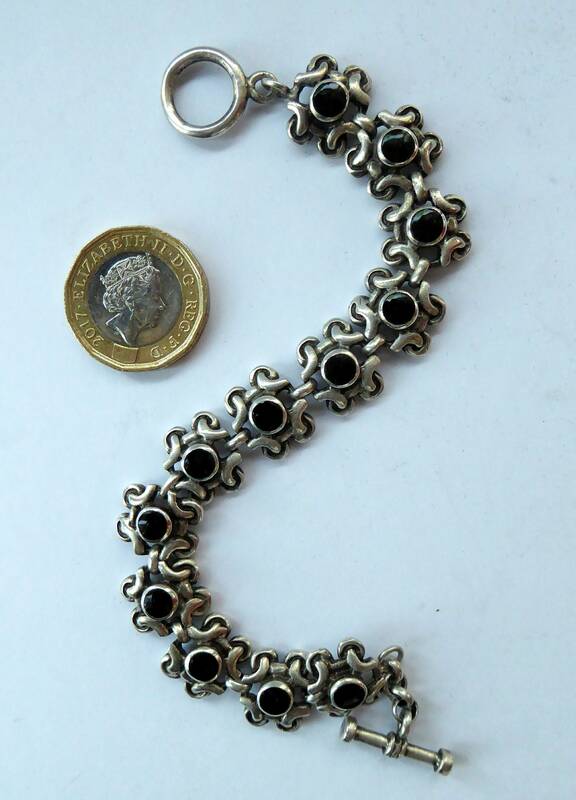 On stylistic evidence, I am suggesting that this is a fine piece of Scandinavian jewellery - dating to around the 1960s - and possibly Norwegian in origin. 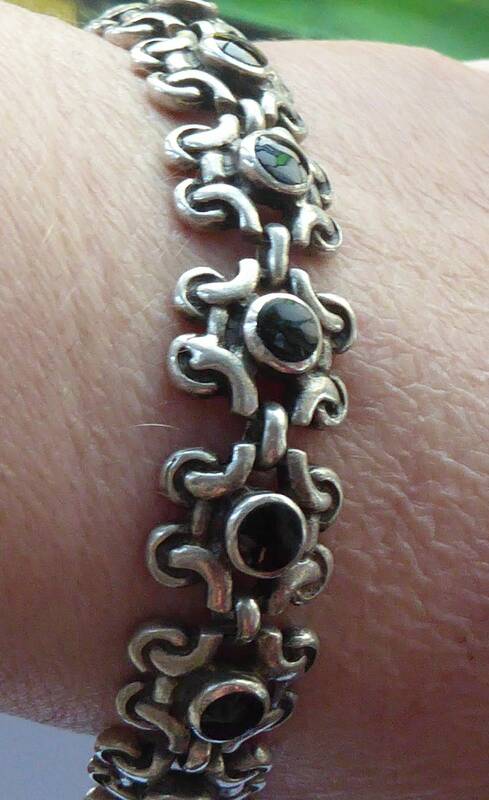 As you can see from my images - a nice vintage bracelet with a nice weight of silver to it. 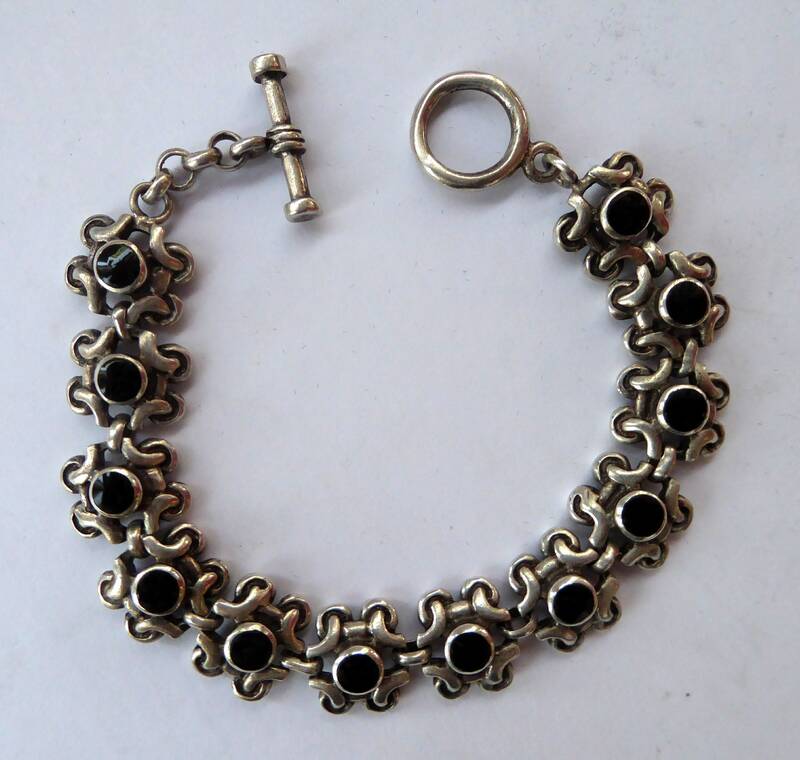 It is perhaps a bracelet for a more slender wrist - and will fit very snugly on wrist with a circumference of 19 cm (7 1/2 inches) - or less. 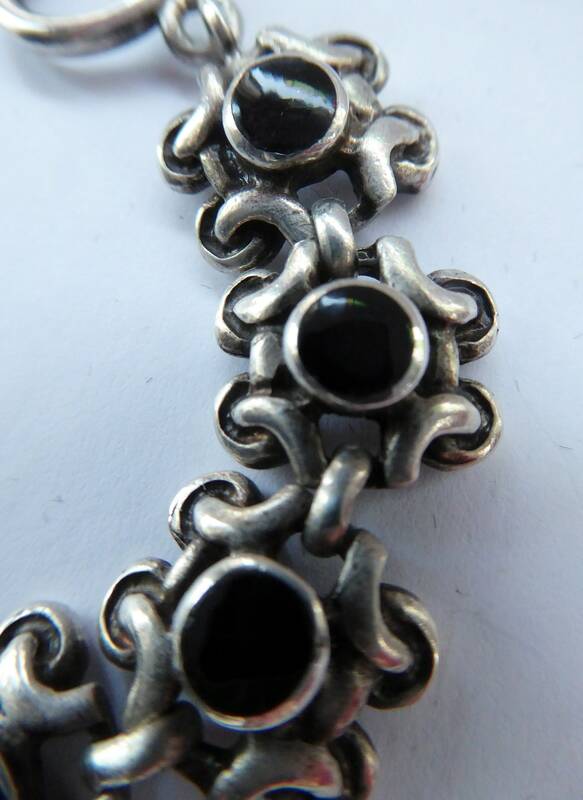 It has been cleaned before photographing and it is in excellent vintage condition - all ready for you to wear. Will be sent in a simple gift box. 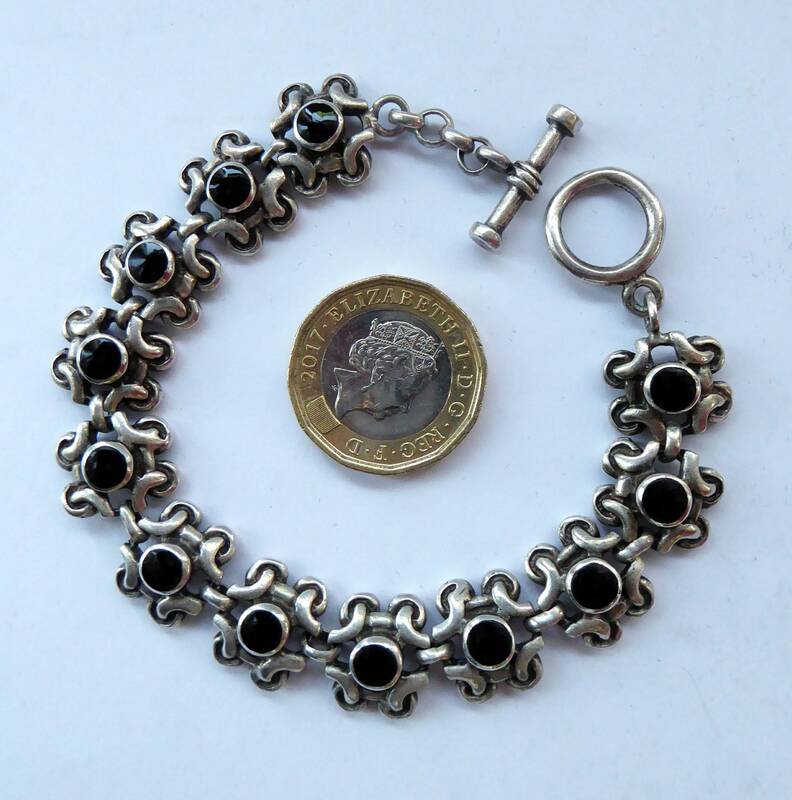 Fair price for this fine piece of classic silverware.